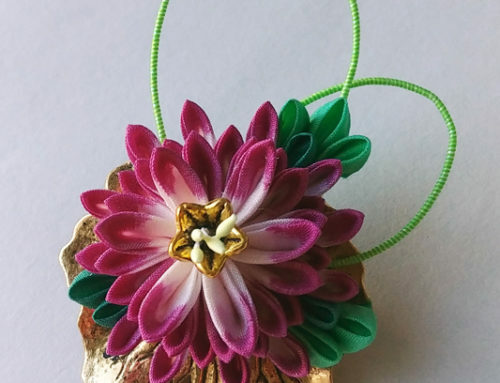 Before we got consumed with house-related projects, I was trying to finish some new large kanzashi pieces. Sometimes when I’m working on larger, more detailed pieces, I get distracted, but I always circle back around and finish them back up. This is one of the pieces that I did finally finish. 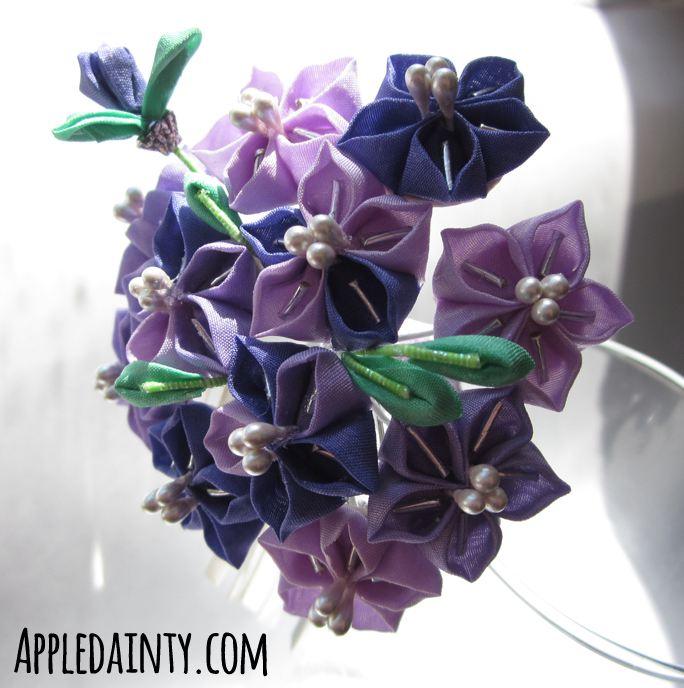 I had always intended on creating this piece with shidare (petal falls), but when I finished the flowers I realized I didn’t have enough squares left in the dye lot to craft the shidare. 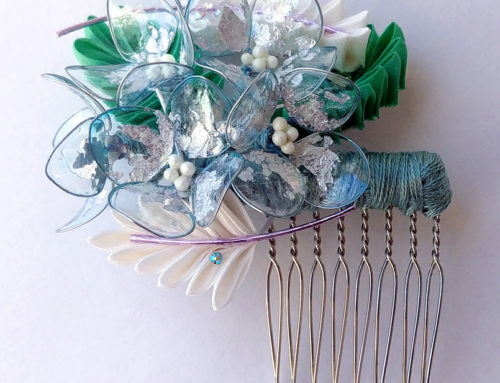 It would be difficult to get a perfect match on a new dye lot, and I felt like it would look just as well without, so I added a bira-bira and finished attaching the arrangement to the hair fork. I actually sold this piece just a few days after I finished it. Normally, large pieces don’t sell very quickly, so I was surprised and pleased. 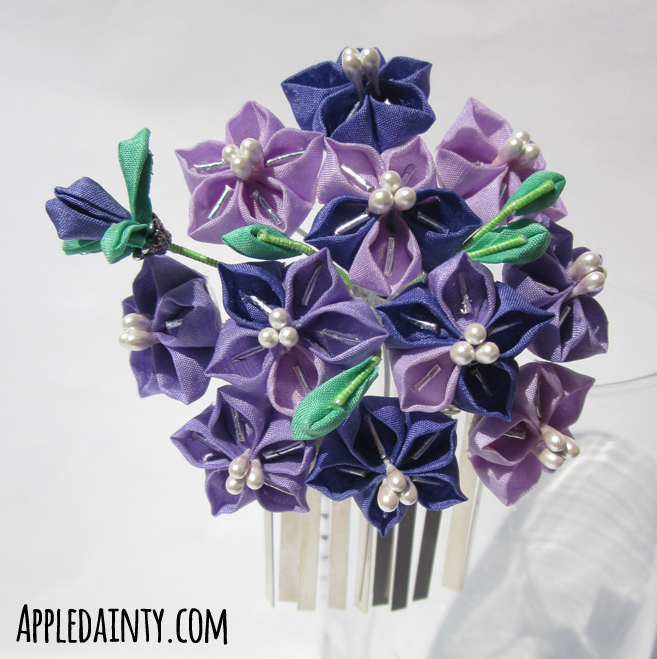 Of course, that means I have to come up more new large kanzashi pieces! I have several ideas in that direction, and some that are even near completion. I also picked up some dipping resin and fantasy film, which I’m super excited to be working with. 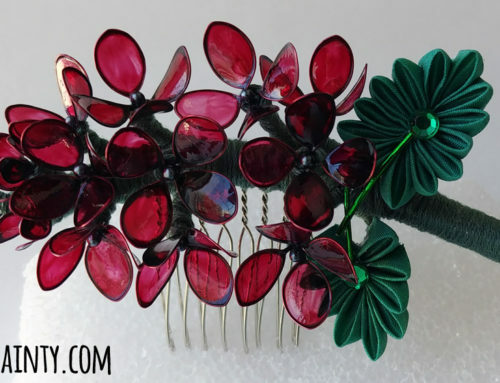 They are going to play a part in one of my dream kanzashi projects – gingko, maple leaves, and a cicada with iridescent wings. Aside from the cicada, whose wings I intend on creating from resin, I also want to experiment with crafting flowers themselves from resin and mixing tsumami craft and resin flowers. I’d also like to try layering paint and resin to create three dimensional effects. Experimentation is the part of creating that I enjoy the most. Currently, the focus of my endeavors is on tsumami craft. 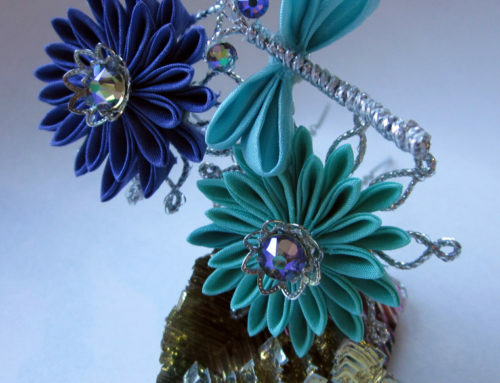 My ultimate goal is to take tsumami craft from wearable art to larger, wall oriented or sculpture oriented art pieces. 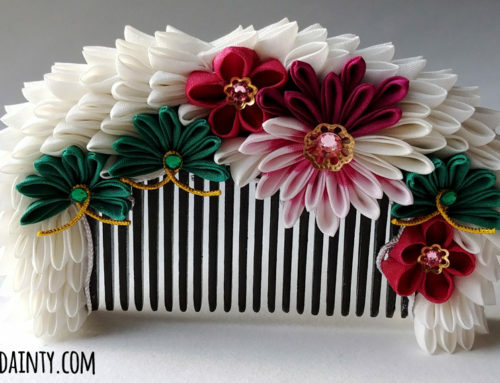 I hope to explore a meeting of traditional and modern themes, and how modern techniques can be used to push tsumami craft further. 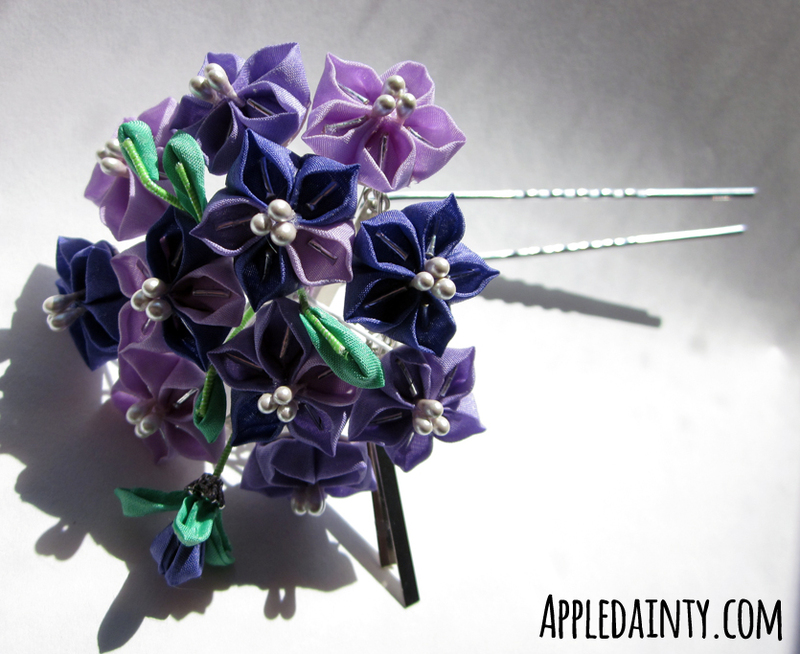 In any case, my bellflower kanzashi may not have turned out how I’d originally planned, but it did turn out well. I’ve got lots more coming up, and I’m excited to share my new finished pieces with you. I hope you check back again next week for more art, crafts, or cookery, and until then stay safe out there!